Summary: Researchers report a simple walking test may help doctors to accurately diagnose the onset of dementia. There’s a cause of dementia that can sometimes be reversed, but it’s often not diagnosed because the symptoms are so similar to those of other disorders. Now researchers say a simple walking test may be able to accurately diagnose the disease, according to a study published the February 21, 2018, online issue of Neurology. The test involves seeing how fast a person can walk while doing something else at the same time, such as counting backwards or carrying a tray. The study found that the walking test may help differentiate whether someone has idiopathic normal pressure hydrocephalus or progressive supranuclear palsy. Researchers assessed participants’ manner of walking, or gait, by having all participants walk on a pressure-sensitive carpet that was 22 feet long. People were first asked to walk at three different speeds: slow, their preferred speed and as fast as possible. They were then asked to walk and count backwards at the same time and after that, to walk while carrying a tray. NeuroscienceNews.com image is in the public domain. Funding: The study was supported by the German Federal Ministry of Education and Research. 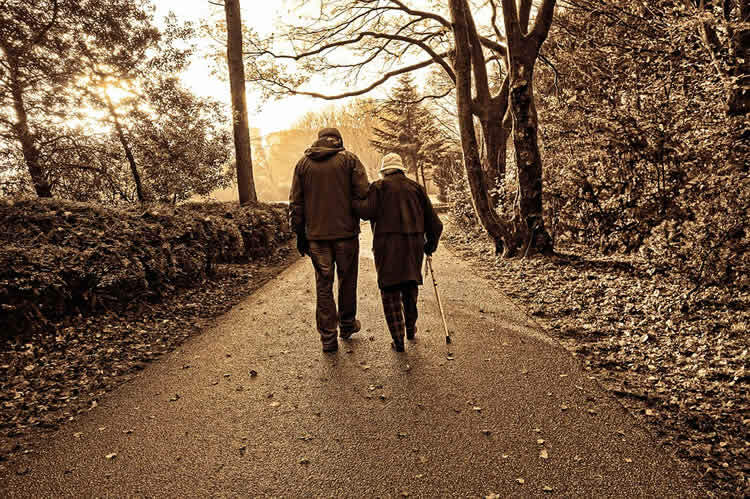 AAN “Simple Walking Test May Help Diagnose Dementia.” NeuroscienceNews. NeuroscienceNews, 23 February 2018. AAN “Simple Walking Test May Help Diagnose Dementia.” http://neurosciencenews.com/dementia-walking-test-8549/ (accessed February 23, 2018).